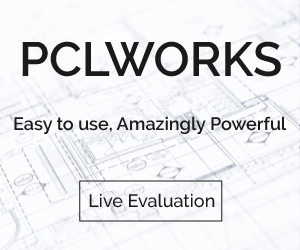 PCLWorks is the ideal GUI solution for viewing, printing and converting today’s complex PCL3 thru PCL6/XL. Quickly and easily convert PCL to JBIG2 compressed raster or vector/text PDF and PDF/A files, as well as PCL to BMP, EMF, JPG PCX, PMF, PNG, PWG, PCLm, TIF, WMF, and XPS. PCLWorks is the most powerful GUI converter of PCL3 thru PCL6/XL on the market today – including HPGL/2. 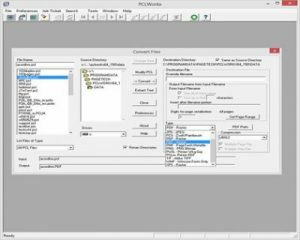 With a simple interface, PCLWorks not only converts PCL, it allows end-users to view, edit, disassemble, debug, extract text and print PCL to any Windows printer. PageTech is the first company to convert PCL to PDF/A format and we just added PCL to PWG (Printer Working Group) and HP’s PCLm mobile conversion formats. PCLWorks is the fastest and most accurate converter of PCL3 thru PCL6/XL on the market! Continual updates keep PCLWorks up-to-date with the latest printer drivers, advancements in PDF, and emerging formats! PCLWorks employees best-in-class PCL technologies such as Text Searchable PDFs, UTF8 Text Extraction, JBIG2 Compression & PDF/A format. Simple GUI interface means PCLWorks is easy to install and even easier to use! PCLWorks is an all-in-one PCL3 thru PCL6/XL utility for data stream manipulation and conversion that enables end-users to preview their PCL and convert it to more popular and easy to use file formats like PDF. With a simple interface and custom options, PCLWorks makes it easy to browse PCL data streams within a user-friendly environment. PCLWorks can also open image files, such as BMP, TIFF, JPEG, PCX, PCLm, DCX, PWG, EMF, WMF, and PMF. The list of supported output formats is even broader, including BMP, TIFF, JPEG, PCX, PDF (raster and vector), XPS, PNG, PWG, and PCLm – mobile print file format.